Sathyamangalam wildlife sanctuary is another important sanctuary in Nilgiri Biosphere reserve. The sanctuary is located in Erode district of Tamil Nadu. The government of Tamil Nadu declared Sathyamangalam wildlife as a sanctuary in the year 2008. The sanctuary is in between western and Eastern Ghats. Spread over an area of 1422km2 the sanctuary is the largest in Tamil Nadu. The sanctuary is rich in flora and fauna with wide range of species of plants, animals, birds, amphibians and reptiles have made the sanctuary as their home. The beauty of the sanctuary is that it is surrounded by many national parks and wild life sanctuaries making it a must visit place. To the north of the sanctuary is the beautiful Billigiriranga Swamy Wildlife Sanctuary and towards the is the Mudumalai national park along with Rivers Moyar and Bhavani, Bandipur National park is towards the west and towards east is the Bargur reserved forest. It is ideal to plan in such a way that the tourists can visit all these places along with Sathyamangalam wildlife Sanctuary. River Bhavani originates in western catchment areas of Nilgiris. It enters Sathyamangalam in Bhavani sagar range. River Moyar is another perennial river which originates in Nilgiris. These two are the major water sources for the flora and fauna in the sanctuary. The plateau in the region has a moderate climate. During monsoon season the reserve receives good amount of rainfall. Generally the climate is moderate in all the seasons. The best time to visit the reserve is from October to January. Entry inside the reserve is restricted permission should be taken for any kind of ride. The forest is not just home for wild animals but is also for the tribals people like Irulars, Ooralis, kurumbas and Soligars who are native tribals of this region. The major concern for the forest is the smuggling and poaching of animals. Government has taken various steps to take care of the animals against smuggling and poaching. The dreaded bandit Veerapan was living in this forest before he was killed in 2004. 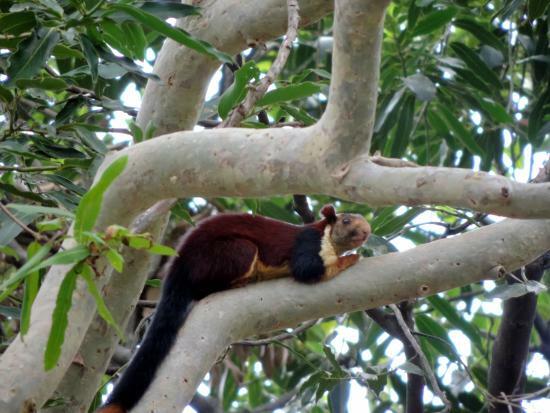 Sathyamangalam tiger reserve has varieties of birds, reptiles, amphibians, fishes and wild animals. Since the forest connects the eastern and Western Ghats animals move around easily from east to west. The forest is filled with elephants, gaur, leopard, tiger, sloth bear and deer. 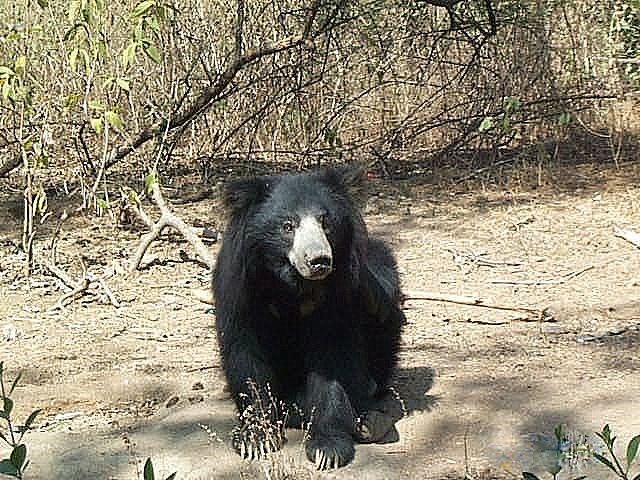 According to the survey conducted by government of Tamil Nadu, the forest consisted of 27 leopards, 304 sambar deer, 77 barking deer and four horned antelopes, 843 wild boars, 43 sloth bears and 15 striped hyenas. The number of tigers have decreased to only 10-15. 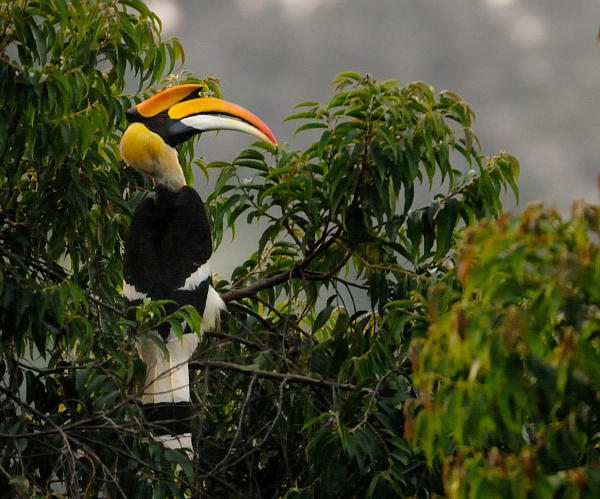 Other than the wild life animals one can enjoy with bird watching as well. Some of the beautiful birds that are present in the forests are treepies, bulbuls, babblers, hyenas and crow. There is also endangered Indian Vulture. Visiting the forest is truly worth for its nature’s beauty. Accommodation is available near the forest. One can book through online before reaching the forest. By air: Nearest airport is Coimbatore which is 80Km. 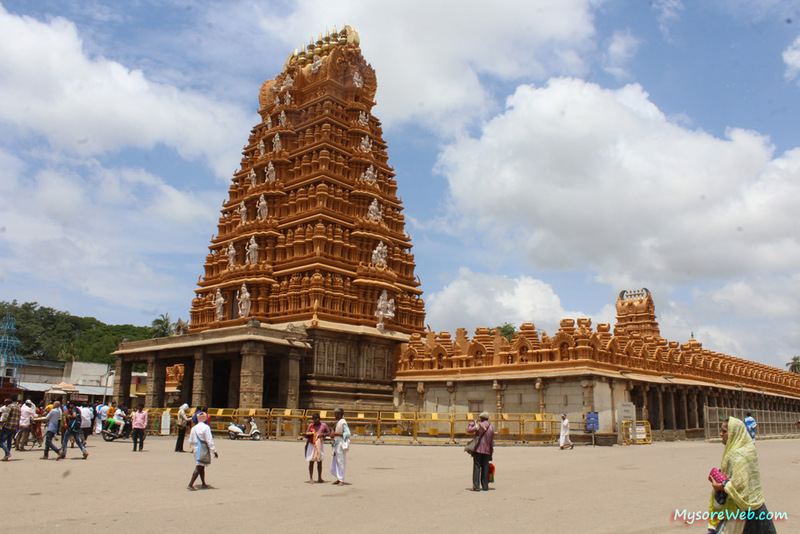 From Mysore it is 150Km and from Bangalore it is 270Km. By rail: Coimbatore is the nearest railway station, Chamrajnagar it is 95kms and from 95kms. By road: The forest is well connected with all major cities. Bus and cabs are available from these places.